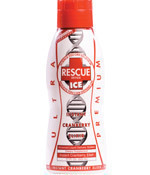 The 17oz ICE begins cleansing immediately with full body cleansing taking place after only 1 hour. The 17oz ICE is intended for people UNDER 200 pounds. Customer also buy Home Test Kits with detox - Customer also buy Home Test Kits with detox cleanser so they can test their toxin level.